Fundraisers are important ways to raise awareness and funds for organizations. 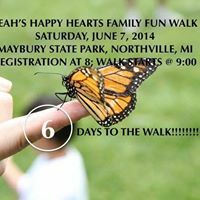 Michigan Native Butterfly Farm is pleased to offer discounted pricing to support your fundraising effort. We will work with you to find the best option for your release and help to make it a memorable event. Each year we have the privilege of working with special event coordinators to provide butterflies for special and memorable butterfly releases. Contact us to discuss your event needs @ 734.347.0443.